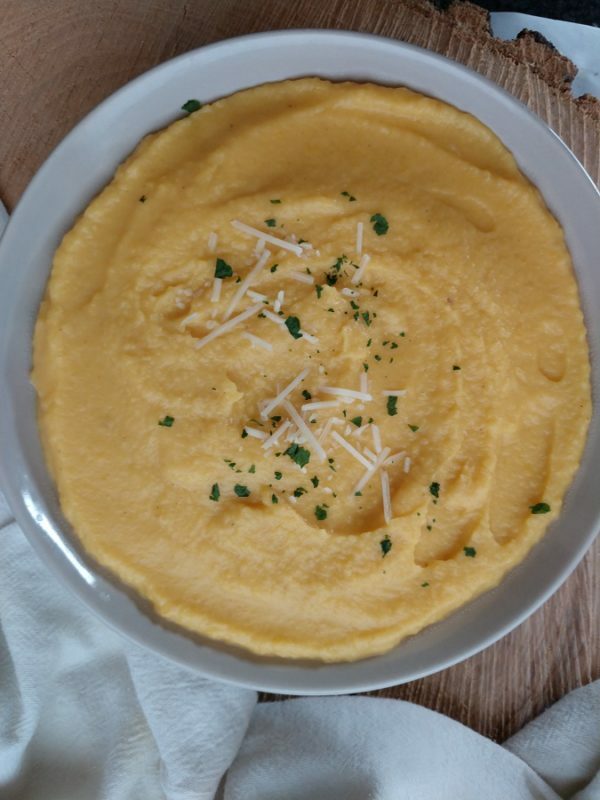 Crock-Pot Squash Soup. 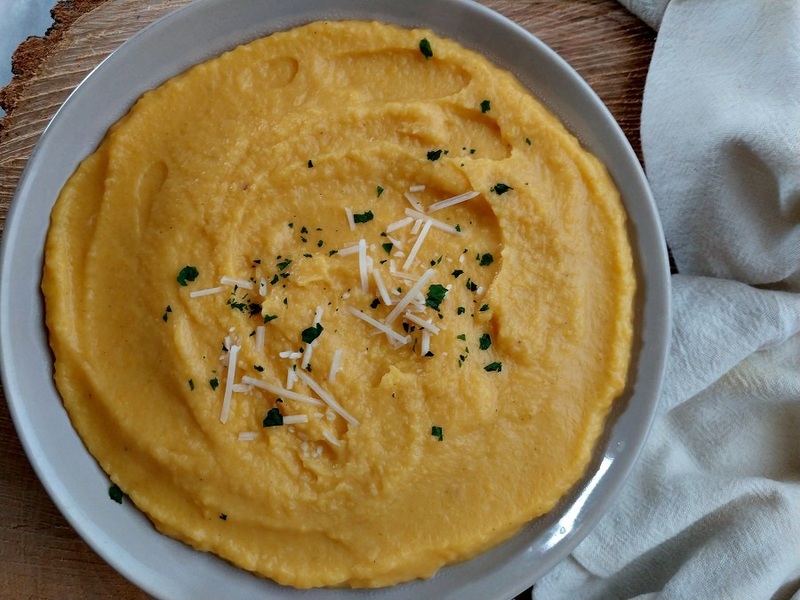 Creamy goodness of both Acorn squash and Butternut squash in one bowl. We have a little local orchard that grows loads of squash each summer. By fall, they are overflowing with many different varieties of squash and pumpkins. Their prices are really good and well there is nothing better than locally grown vegetables. This soup requires the use of a blender or immersion blender to get the end creamy result. Just a little work for the best squash soup you have ever eaten. If you do not have an immersion blender, allow the soup to cool just a little. Blend the soup in a blender by the cup full. Serve with a side of crusty bread and a little Parmesan sprinkled on top. Homemade squash soup that is creamy and tasty! Serve with a side of bread and enjoy! In a 5 qt or 6 qt slow cooker, combine all the ingredients EXCEPT the cream cheese. Cover and cook on LOW for 8 hours stirring occasionally. Remove the soup a cup at a time and blend with a blender OR use an immersion blender and liquify. Add in the cream cheese and continue to cook on LOW until the cream cheese has melted. Serve on WARM from the slow cooker.